Eligibility: Members from a product development team, from diverse department functions, that were responsible for a new food or beverage commercially introduced into the North American marketplace in 2018 or the first half of 2019. The selection is based on the prepared food product (or product line) introduced into either the foodservice or retail distribution channel. Entry Deadline: All entries must be received no later than April 30, 2019. Please complete the form below and click the "Submit" button. Please direct questions to Bob Garrison, Prepared Foods magazine, (574) 935-3724; or by email to: garrisonr@bnpmedia.com. 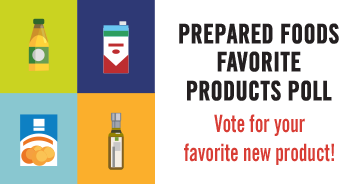 The Awards: A Prepared Foods panel will determine the New Product Development Team award winners based on nominations submitted by industry vendors, food manufacturers and consumers. 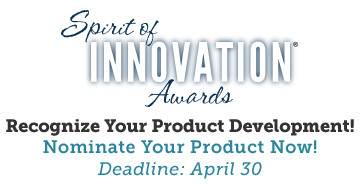 The 2018 Spirit of Innovation Awards will be presented at the 2018 Prepared Foods New Products Conference. Winners also will be recognized with a feature article in Prepared Foods, appearing in the October issue of the magazine. 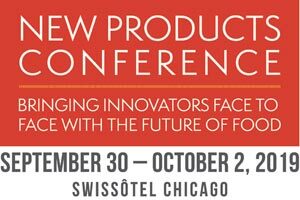 Additional Criteria: A member of each development team must be willing to personally receive their award at Prepared Foods New Products Conference. Additionally, the winning companies must be willing to work with Prepared Foods editors in the development of the Spirit of Innovation New Product Development Team of the Year articles in Prepared Foods.